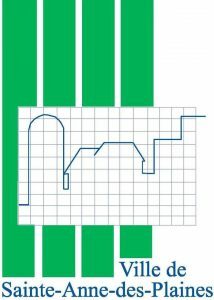 HOW TO CHOOSE A CITY TO MOVE TO IN THE NORTH SHORE OF MONTREAL? With twenty or so municipalities and 556,000 residents, the North Shore of Montreal which has several major cities in the Laurentians and Lanaudière, is something to envy. Indeed, the North Crown, a place of many cultural and sporting activities, is also abundant with nature, combining the charms of the St. Lawrence with vast green spaces. Would you like to receive 5 accurate moving quotes for your move to the North Shore of Montreal? It’s so easy! Just fill out the free form on this page. 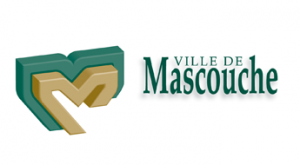 Mascouche, located in the Lanaudière region, is home to nearly 45,000 residents. In addition to offering its citizens a number of cultural, sports and community activities, the flagship site of the North Crown offers them natural and wide open spaces. Lovers of cross-country skiing, snowshoeing, hiking, and cycling, the Parc du Grand-Coteau awaits you. While the Émilie-Mondor trails will allow you to practice most of your outdoor activities, the many kilometers of bike path along the park will provide you with an exceptional bike ride. While the city of North Shore of Montreal knows how to charm sports lovers, it also knows how to attract art lovers due to public artworks. A single visit to the city center will allow you to marvel at the works of promising artists. Mascouche is rich in history, and its buildings are living proof. A library, credit union, train stations, and churches constitute the amazing heritage of this colonized city from 1717. Located in the administrative region of Lanaudière, Terrebonne is the 10th most important city of Quebec. It has 115,000 inhabitants, including several young families. The city of the North Shore of Montreal knows how to appeal with its dynamism, its stunning architecture, and its active community life. Are you a fan of the outdoors? So Terrebonne has what you need! Indeed, the city is home to nearly 135 parks and 436 green spaces. The track TransTerrebonne offers 100 kilometers of track where you can indulge in your favorite activities. Each year, Terrebonne hosts several winter and summer events, to the delight of the young and old. The Gèle ton week-end, a winter party that is held in the North Shore of Montreal, will liven up your coldest days while the famous Aqua Splash will take advantage of your abilities to cross a vast pool of water without getting wet! 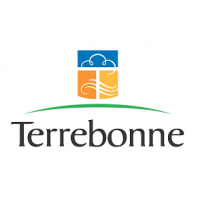 Terrebonne offers its residents a number of amenities and local shops. Also, you do not need to travel to Montreal to enjoy a good meal, take yoga classes, go to the movies, or buy anything you need to do your daily activities. Located on the banks of the L’Assomption River from which it took its name, L’Assomption’s little corner of paradise today has some 22,000 inhabitants. This city of the North Shore is particularly appreciated for its cultural dynamism, as well as for its breath-taking landscapes. 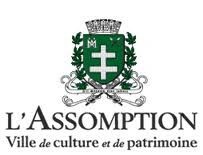 If downtown L’Assomption enjoys a unique atmosphere, it is because of its proximity to a college. Thus, in addition to being able to enjoy the interesting architecture of the city and its many local shops, you can take the time, in the evening, to attend its lively bistros. L’Assomption now hosts several new, quality residential projects that will meet your needs. Indeed, the different districts of the city that is served by many establishments and local shops offer new buildings with classic and modern architecture. Public works, creative space, music schools, heritage trails, and theater: these are but some of what L’Assomption offers to art lovers. In addition to giving importance to culture, several artistic events are held each year. Would you like to move here? Nestled in the heart of Lanaudière, Repentigny stands out thanks to its lively civic life and its diverse employment opportunities. No wonder more than 84,000 Quebecers, including several young families, live here! Would you like to enjoy the charm of the North Shore of Montreal as well as the amenities of a big city? It’s possible! Indeed, the Metropolitan Transportation Network (TMN) serves the city, as well as several other municipalities in Lanaudière. In summer, Repentigny hosts many festivals and musical and sports events. The city has several venues, including the largest sports complexes in Quebec and the largest skate park in the Montreal area. Many employers have chosen to take up residence in Repentigny. Also, it is a city of choice to start a rich career with plenty of industries to choose from. The average household income of families who moved to Repentigny is close to $82,000 a year. While Mirabel is known for being the site of the famous commercial airport in Quebec, it is, in addition, a city with many attractions. Even as the huge municipality of the North Shore offers its residents abundant job opportunities, it also offers them an entertaining and dynamic life. Mirabel has two regional parks, Bois de Belle-Rivière and Domaine-Vert, allowing you to engage in your favorite outdoor activities all year long. You will also be able to take advantage of the many golf courses as well as equestrian trails here. Mirabel is full of job opportunities. Indeed, the municipality hosts several large companies, including Bombardier and Sonaca, and its commercial, industrial, and agribusiness sectors are booming. Orchards, sugar shacks, fresh market produce: these are what Mirabel has to offer on its territory of the North Shore of Montreal where many farms and agricultural areas thrive. You can enjoy fresh local produce at any time! The North Shore beckons. Would you like to find experienced movers to help you make your project a reality? By filling out the online request form on this page, you will get free, quick and easy access to 5 reliable, proven quotes from moving companies. Saint-Eustache is a small town in the Laurentians where some 44,000 Quebecers live. With its many local shops and buildings featuring unique architecture, the municipality, 20 km north of Montreal, attracts numerous new residents. The Vieux-Saint-Eustache is characterized by an impressive heritage as well as many attractions. Indeed, not only is this city in the North Shore of Montreal a haven for architecture lovers, it is equally appealing to epicureans. Lovers of sliding, cross-country skiing, snowshoeing and skating, you will be tempted to move to Saint-Eustache. With its trails that go as far as the eye can see and indoor and outdoor skating rinks, this city of the North Shore will seduce you for sure. Small town living is synonymous with more personal relations. In Saint-Eustache, an active community life and friendliness with neighbors are definitely on the plate. The City of Saint-Eustache even organizes, for those who have just moved, a welcome lunch. Blainville ranks third among cities in Quebec where life is good, and with plenty of good reasons! The municipality of the North Shore of Montreal, which works to improve the quality of life of its citizens, focuses on economic and residential development, as well as leisure activities to satisfy the locals. In Blainville, everyday life rhymes with festivities! Indeed, every year the city organizes various seasonal events to highlight, in particular, Halloween, National Day, Easter and Valentine’s Day. There are many attractions to entice anyone to move here. The Blainville economy is one of many other things that appeal to new residents because it hosts several SMEs, accounting for the city’s growth. More and more people are choosing to live here because of an abundance in job opportunities and a high quality of life. 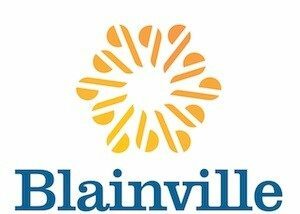 Blainville relies on the quality of its residential development. Through its efforts, the municipality wants to promote public transit, stop congestion, and protect the environment, while offering many services to its residents. At the gateway to the Lower Laurentians, Boisbriand, the jewel of the North Shore of Montreal, has more than 26,000 inhabitants. It is a dynamic city where seniors and young families rub shoulders. 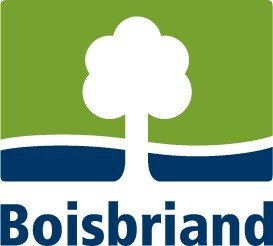 Boisbriand welcomes many young families, which undoubtedly contributes to its dynamism. In fact, it is one of the youngest cities in Quebec. This city in the North Shore of Montreal is perfectly located, just minutes from highways 13, 15 and 640. The municipality of Boisbriand offers many activities of all kinds to its residents. It is also ideally located on the banks of the Thousand Islands River. Sainte-Thérèse, located in the Laurentians, about 30 km from Montreal, recently ranked among the best-administered cities in Quebec. It is a cultural city with a flourishing economy. Sainte-Thérèse offers its 26,000 inhabitants poetry trails, cultural events, cabarets and heritage tours. These attractions can satisfy lovers of art and architecture! Although Sainte-Thérèse covers only 8.2 kilometers, it has more than 22 parks and 9 recreational areas. The city also attaches particular importance to the protection of the environment. The city of the North Shore of Montreal welcomes investors and entrepreneurs. It works closely with organizations that promote entrepreneurial emergence and aims to support business people. In the heart of the Laurentians, Sainte-Anne-des-Plaines is 40 km from Montreal. Its more than 15,000 inhabitants appreciate it for its tranquility and its environment. Sainte-Anne-des-Plaines has several heritage buildings, witnesses of its uniquely rich history. These give the city of the North Shore its beautiful environment. Cross-country skiing, snowshoeing and hiking lovers, know that Sainte-Anne-des-Plaines offers several trails from 2 to 10 km to engage in your favorite outdoor activities. The city is known for its prolific maple syrup production. It also hosts several well-known sugar shacks. Want to sweeten your life? You can move to Sainte-Anne-des-Plaines and enjoy its many attractions. Planning to relocate to the North Shore is child’s play! Have you finally made the decision to settle in the North Shore of Montreal? 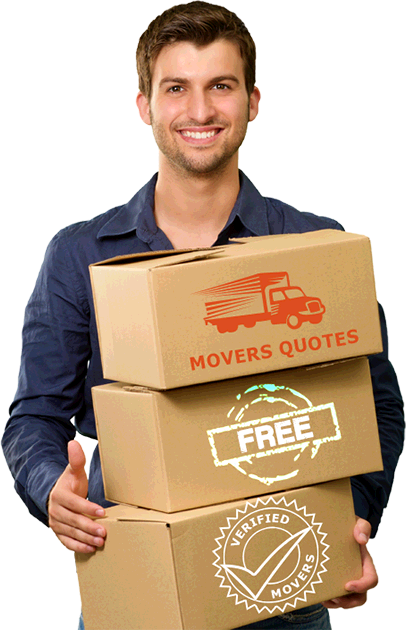 5 Movers Quotes, a free price comparator and easy to use can let you get 5 quotes for a great moving experience in just one click. 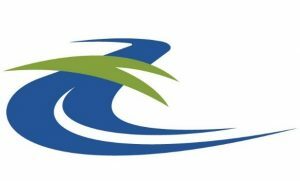 The North Shore is calling you and you want to find a reliable team of movers to help with your relocation safely and effectively? Trust the partners of 5 Movers Quotes!